4-20mA current loop output – NEW! The SM550 and SM1500 are two MEMS type, three-component acceleration sensors. Both have wide frequency response. The SM1500 model provides response from DC to 750Hz, while the SM550 model provides response DC to 50Hz. Many output rages are available for both models like +/-2g, +/-4g, +/-5g, +/-6g, +/-10g, +/-12g, are. Default sensitivity is 2.4V/g for the SM1500, and 1.2V/g for the SM550. 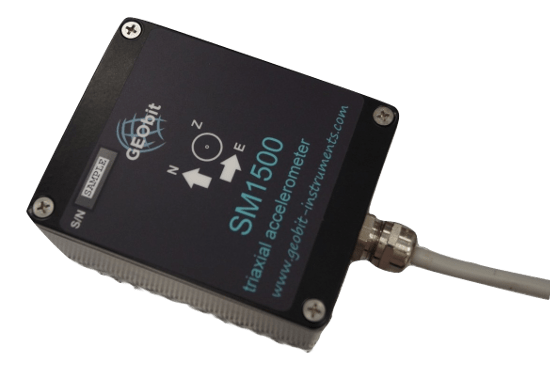 The SM1500 and SM550 accelerometers technology is based on a variable capacitor transducer and a feedback circuit that operates in a closed-loop configuration. The feedback force is controlled by an application-specific integrated circuit (ASIC) which provides high reliability and low output noise. Acceleration output is differential analog, swinging between +/-5V. Other output voltages are avialable. The default cable length between the sensor and the digitizer is approximately 2 meters but it can be extended. The 2-40mA version can have a long connection cable. The sensors are surface mounted or wall mounted over a provided adjustable base, giving the ability for leveling and orientation. 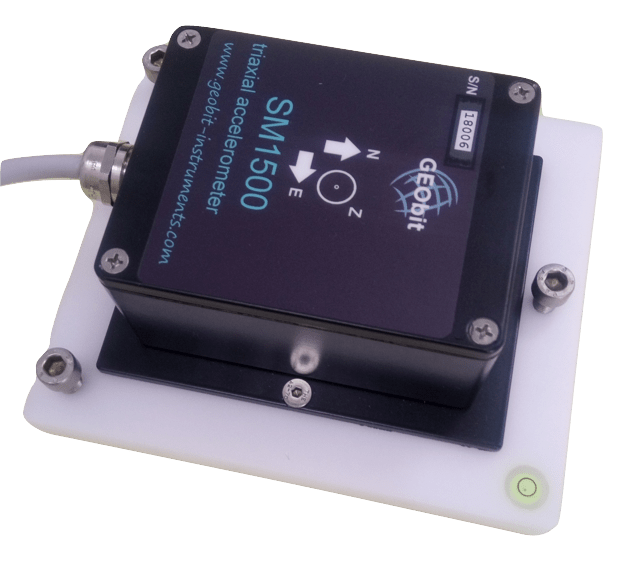 Seismic accelerometers can be used for early warning systems implementation. The concept is to install high precision accelerometers near seismic zones, generally located occurs at the borders of two tectonic plates. The interval of time between an earthquake and a local alert can be very small, from one minute to a few seconds. The waves travel through the ground at 1 to 5 kilometers each second, whereas the signals emitted by the sensors reach the urban areas almost instantly. This allows the population to execute the security processes in time, as long as they are not into the blind zone. 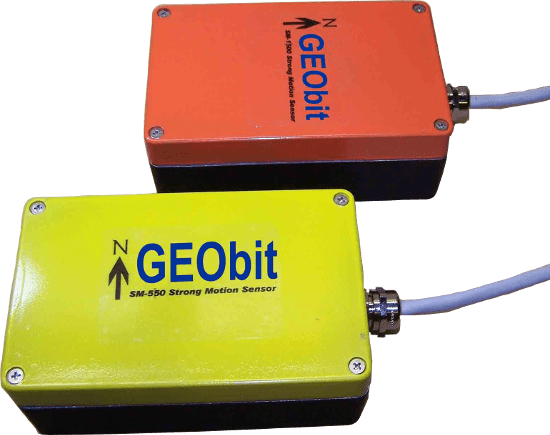 Contact GEObit experts to help you on designing your early-warning application.